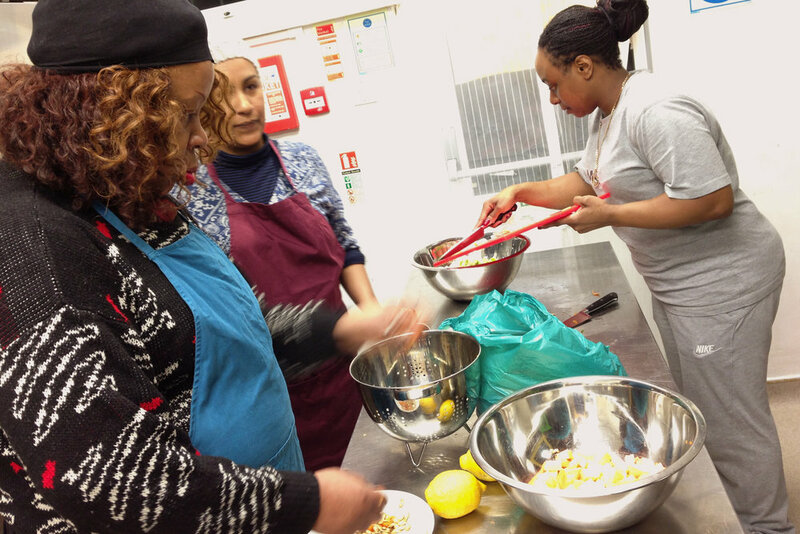 Here are some images from weekly cooking projects previously run in Hackney over the course of 1-2 years . We Are currently not leading any sessions in the borough. Please go to fellow organisation 'Made in Hackney' to see the great programmes they're providing in Hackney. Though People's Kitchen predominantly work with surplus food and create vegan dishes... within our family/kids cooking lessons we understand that people may find this far from their normal diet. Our Cooking Lessons are therefore vegetarian, with a great focus on being mostly plant based.